NMDA glutamate site拮抗剂. 1 ml water soluble pack. Competitive NMDA receptor glutamate site antagonist. More active form of DL-AP5. Functional Studies - D-AP5 (mM/ml), NMDA glutamate site antagonist (ab144482)Case et al PLoS One. 2011;6(6):e20756. doi: 10.1371/journal.pone.0020756. Epub 2011 Jun 9. Fig 3. 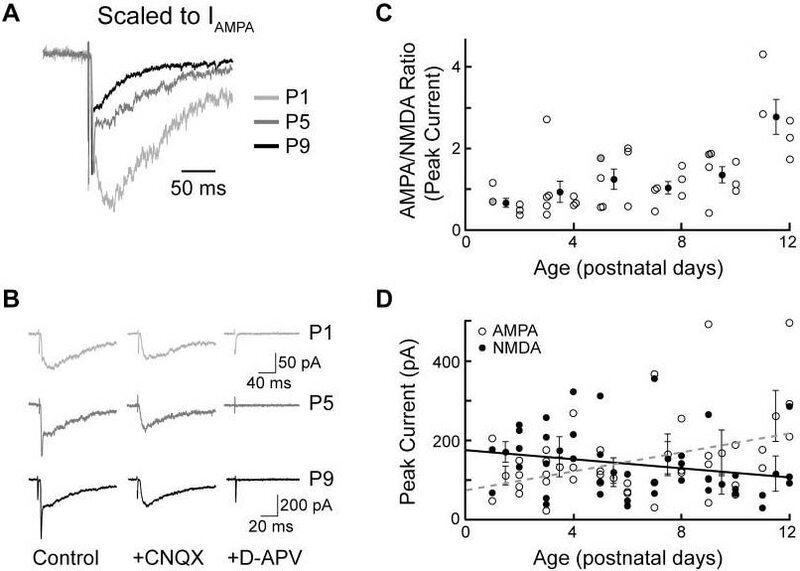 Fractional current mediated by AMPARs increases between birth and hearing onset. A: Representative mixed glutamatergic responses from P1, P5 and P9 neurons (average of 10 recordings), scaled to peak AMPA current; distinct AMPA and NMDA components visible in each trace. B: Same traces as in A, showing the mixed glutamatergic current, the pharmacologically isolated NMDAR component, and the response after application of AMPAR and NMDAR antagonists, D-APV and CNQX, which abolishes the glutamatergic response. 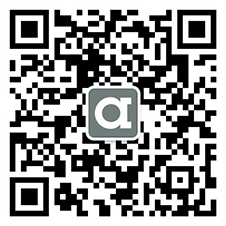 All recordings in Mg++-free ACSF. Note change in scalebars for P9 recordings. C: Ratios of peak AMPA/NMDA current in 39 cells from slices P1-P12. During this period, AMPA/NMDA ratio increases as a function of age (p = 0.012, Kruskal-Wallis; P1/2 vs P9/10, p = 0.048; P7/8 vs P9/10, p = 0.30; P9/10 vs P11/12 p = 0.010; linear regression slope 0.14/day, r2 = 0.32; exponential fit r2 = 0.36). Filled black circles represent means ± SEMs at two-day intervals. Filled gray circles represent cells shown in A,B. D: Increase in AMPA/NMDA ratio with age is accompanied by small increases in average AMPA current (open circles, regressed to gray line) and decreases in average NMDAR current (filled circles, regressed to black line). There are currently no Customer reviews or Questions for ab144482.